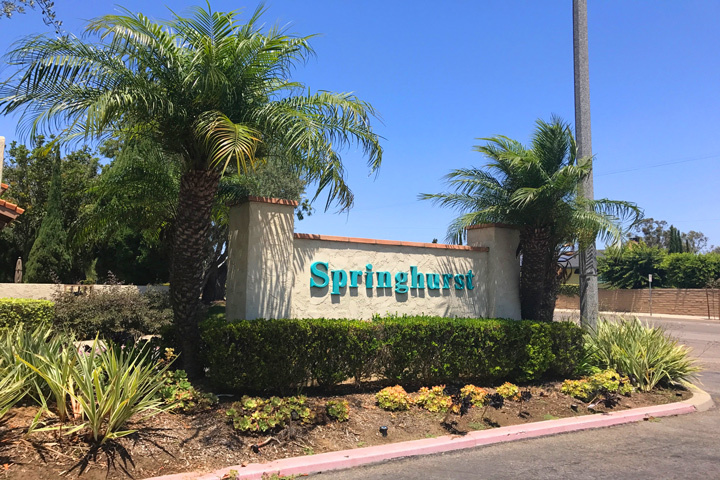 Springhurst homes are located in the Northeast area of Huntington Beach, California. This is a very popular neighborhood that was built in 1973 and features two to three bedroom attached homes that range in size from 1,180 to 1,749 square feet of living space. Some of the highlights that can be found in these homes include high vaulted ceilings, outdoor fenced in patios, ground level entrance and living room fireplaces. Below are the current Springhurst homes for sale and for lease in Huntington Beach. Please contact us at 888-990-7111 with questions regarding this area and any of the properties listed here. 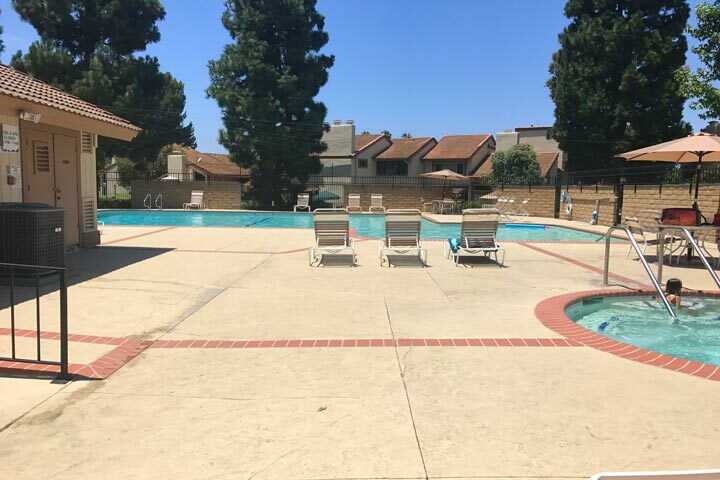 The Springhurst community offers a very nice community pool and spa as pictured below that is located at the entrance of the tract. The neighborhood is pet friendly with many homes offering fenced in yards which is ideal for animals. There is also a small community clubhouse that is used for events, etc.